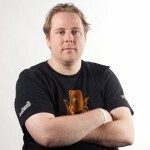 Stefan Koopmanschap is a freelance PHP developer, consultant and trainer. He is a community person and is active in the Benelux PHP community as secretary of the PHPBenelux Usergroup as well as in the symfony community as the Community Manager. Stefan has a wide history in Open Source, having been Support Team Leader for phpBB, documentation translator for Zend Framework and community manager, plugin developer and maintainer plus various other things for symfony. Stefan is also a best practices advocate. He prefers easy and useful explanations of best practices over the academic and theoretical stuff found in most literature.